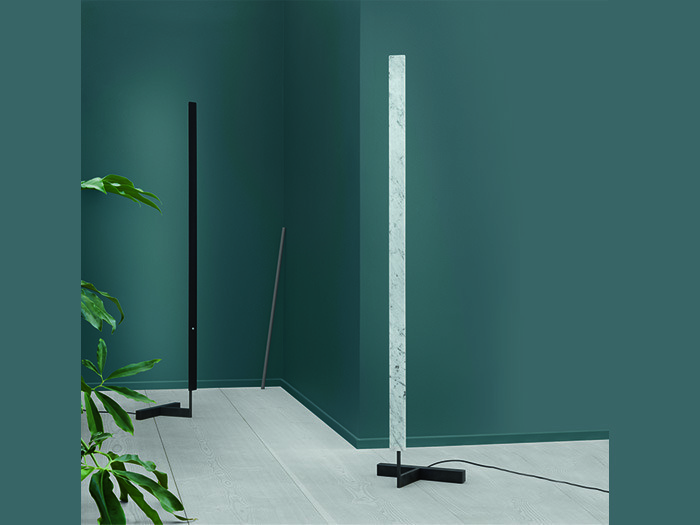 This floor lamp plays with proportions – the lamp presents a narrow base with a tall pivoting light screen. It has the same design features and usability as the Divar wall lamp, but with the additional flexibility of a base mount. The clean-lined F-Model is inspired by cubism art and architecture.